Summer season is back with beach parties, sitting by a poolside and indulging in fun water activities. It is best to take good care of hair before the dull weather takes a hit over the next few months. Dry, oily scalp and messy hair proves to be clear symptoms of approaching summer. In the scorching heat, there is no fun in colouring and styling as the hair gets difficult to protect from intense heat in summer. Heat, sunshine, and other natural and not-so-natural elements may take away the natural beauty of the mane. Too much hair cleansing can also cause hair damage. Thus, it is important to choose a shampoo that removes the right amount of oil from the scalp. Mild and formulated shampooneeds to be used on a daily basis to remove pollutants and keep the hair clean. Summers demand of making of a ponytail and throwing the hair back without protecting the scalp. However, pulling it too tight may cause hair break. Also, pulling the hair back in wet condition is way more damaging than tying knot of the dry hair. Aim for loose buns and ponytails and let your hair down before hitting the bed at night. You can also alternate the style each day as per the day’s convenience – you can either tie it low one day, high another or to the side the next. Avoid stretching the same hair strands daily. It is one of the best ways to protect your hair from the sun’s heat. You could also opt for a scarf, a wide-brim floppy hat or a cowboy hat. Keep in mind that the sun can shine through certain straw hats, so it's still smart to wear a protective product underneath. Protection starts with the shower. When you shower, opt for products that hydrate your hair. Make sure products don’t contain harsh sulphates, parabeans or sodium chlorine, which will weigh down the locks. You can also give your hair a healthy boost by massaging coconut oil at night, and then showering in the morning. Swim with pre-dampened hair. This may sound odd, but spray your hair with water before jumping into the pool. By dampening your hair, you are giving your porous hair an opportunity to soak up non-chlorinated water first. Later, when you jump into the pool, it won’t soak up all that chlorine. This protects the hair from the excessive damage caused by pool water. 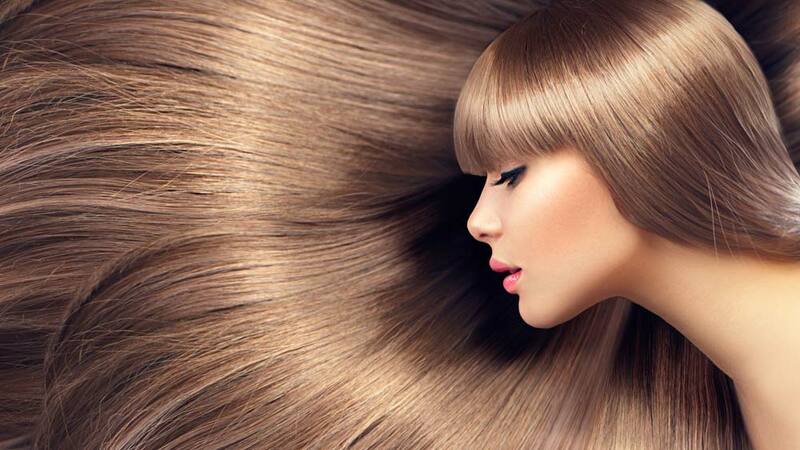 Excessive use of hair colour or dyes makes hair dry, rough and fragile. In worst cases, hair may break off entirely. It is advisable to avoid frequent colouring in summers. Instead, apply henna pack twice a month to make hair healthy, glossy and voluminous. It helps in bringing back the lost health of the hair and repairs damaged locks. Boil water with two tablespoons of dried amla, one teaspoon of black tea and two cloves. Strain the water and add in henna to make a thick paste. Leave overnight or for at least two hours and apply on hair. One can also try some cool home remedies to combat summer heat damage. Mix two tablespoon of yogurt, two egg white, 3-4 drops of lavender, teatree, eucalyptus oil and 4-5 drops of lemon juice. Mix well and apply the pack on scalp and hair. Leave it wrapped with a shower cap for 20- 30 mins and wash off with a shampoo. Try this cool pack once in 10 days to get lustrous clean hair and dandruff free scalp. If there's ever a time for shiny, vibrant, luscious hair, it's summer. Keeping in mind the tips mentioned above and flaunt strong and healthy hair in the scorching summer. This blog is written by Sanket Shah, CEO & Owner, Advance Hair Studio India, as per his personal views and research. Mobile travel revolution by Apple Watches..